Manley Sport Compact - Pro Series Valve Springs - Dezod Motorsports Inc - Home of the automotive performance enthusiast since 2002. Manley Performance valve springs are specifically designed to withstand the rigors of today’s aftermarket Sport Compact camshafts and properly control the valve train in these high revving Sport Compact engine applications. This means utilizing only the best, super clean chrome silicon high tensile strength steel alloy and performing classified heat treatment and shot peen processing to insure the ultimate fatigue life and limit load loss. 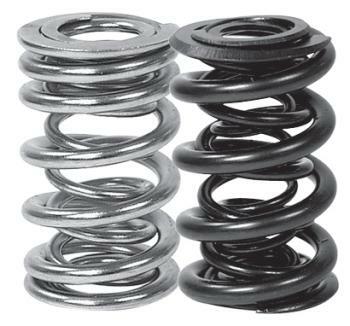 Manley Valve Springs are wound from super clean alloy. Each design minimizes stress to ensure long service life with high lift camshafts.